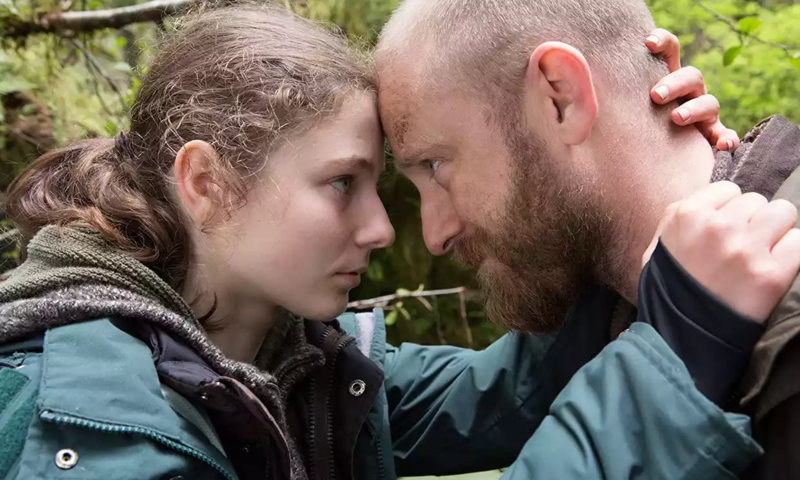 Debra Granik’s Leave No Trace is based on Peter Rock’s 2009 novel My Abandonment, which is in turn adapted from the true story of a young girl and her father discovered living in Forest Park, Oregon. The film marks Granik’s first return to narrative filmmaking since the highly regarded Winter’s Bone (2010). Though a little warmer in both theme and colour palette, Leave No Trace explores similar notions of rural living, family ties, and mental health. 13-year-old Tom lives with her father Will, an army veteran, in a vast public nature park west of the city of Portland. The pair share a small tent, a tarp shelter, and basic camping equipment. Little is known about the family, except that Tom’s mother passed when she was very young, and Will suffers from nightmares induced by his PTSD. Despite the unconventional living arrangements, Tom and Will live a happy and peaceful life; they forage, play chess, read, and occasionally wander into the city to buy groceries, before once again vanishing into leafy seclusion. When Tom is spotted by a jogger on a hiking trail, park rangers ravage their home, and Will and Tom are accosted by social services, drastically altering Tom’s life as she has known it forever. Though initially mistrustful and resenting of their supposed rescue, Tom adapts quickly to civilised living, exploring and making new friends, quietly relishing her newfound independence. She thrives on interaction with people and animals; her caring, sociable aptitude flourishing. But her dad will not – cannot – settle. To Will, the only way he can help himself is to cut off everyone else, but no amount of running will distance himself from demons that live inside his head. The pair keep moving, but it becomes clear that now Tom knows what life is like outside of the wilderness, beyond just surviving, her needs have outgrown what her father can provide. Treatment of the rural landscape through Michael McDonough’s cinematography creates a necessary balance between showing the enticing peace and natural providence of the land, whilst never quite romanticising the life that Will and Tom live in the park. Though we might like to believe we could just cut ourselves off from society entirely and live in the wilderness, their nomadic lifestyle presents its own set of dangers and constraints, especially for a growing teenager. The film’s most affecting achievement is the performance given by its two lead actors, Ben Foster and Thomasin McKenzie. Though the film is slow-paced and frequently sparse in dialogue, it is the emotional bond between father and daughter that kept me wholeheartedly invested in Will and Tom’s story, and brought me to tears more than once. 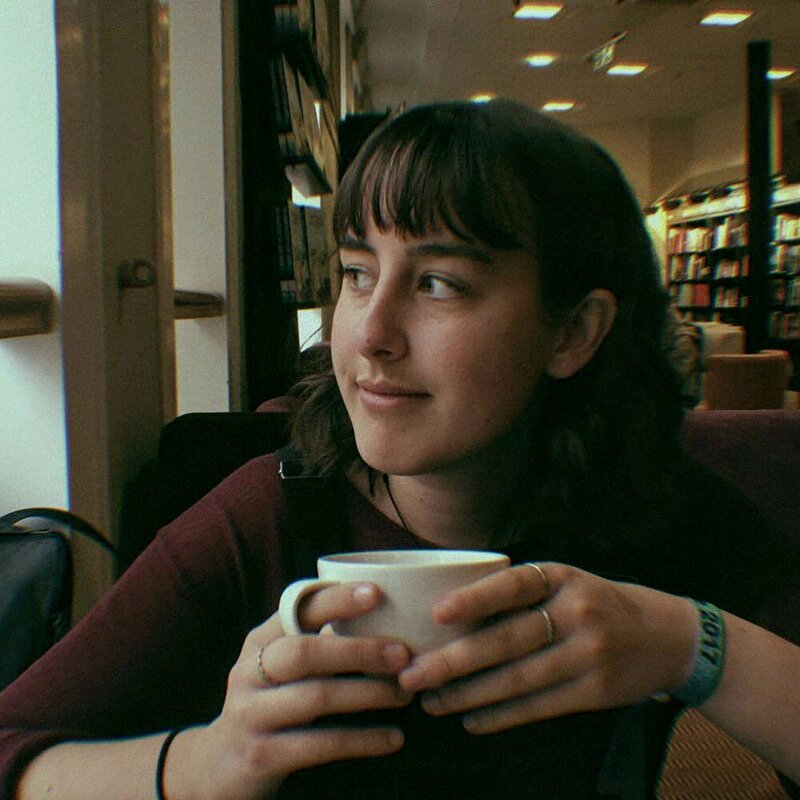 McKenzie in particular gives an incredibly mature performance as Tom, wise beyond her years and torn between her devotion to her father and her worldly curiosity. Ben Foster’s anguished father is tormented by his past, which makes it physically unbearable for him to re-adapt to the pace and intensity of life in an urban society, whilst increasingly struggling to be the father his daughter needs. Though we meet others along the way, Will and Tom are the only constant aspect of the film, and the time and care invested in the chemistry between the two actors makes it all the more painful to watch them begin to pull away from each other. Debra Granik and Anne Rossellini’s script handles the story with a remarkable sensitivity; Will’s mental illness and Tom’s social development are brought into question by the authorities, but Will is never villainised for his decision to take Tom away. Everyone from the police to hospitable locals are only trying to help, but perhaps it is only Will who is beyond helping. It’s a frustrating narrative that can be empathised with from all angles; it’s easy to understand Will’s decisions, whilst also wishing desperately that he could let himself be helped. It’s also easy to see how the mental healthcare system can so easily fail sufferers of PTSD, and the lack of options provided to people like Will when integrating back into society, especially as single parents. As Tom comes to realise of them: “The same thing that’s wrong with you, isn’t wrong with me.” Will and Tom face the sobering reality that they no longer need the same thing, and simply loving each other might not heal the divide.